At the end of the day, we do this because we genuinely love the animals. Having an owner trust us enough to look after their pet is not something we take for granted. It's a major responsibility and privilege. 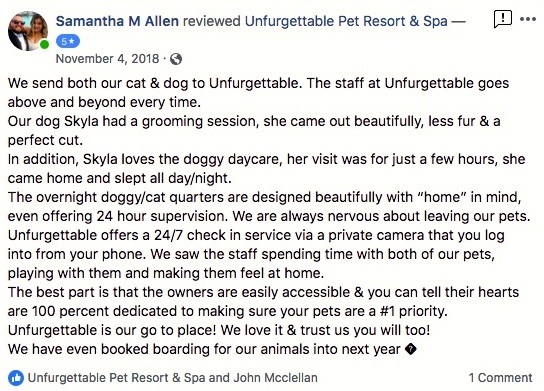 Reading reviews like the ones below warms our heart, knowing we're delivering on our promises. We welcome any and all feedback. If you’d like to drop us a line, you can do so at the bottom of this page.